Amy Hess, a 26-year veteran of the FBI, will be the new special agent in charge of the Louisville office beginning in October. The Lexington Herald Leader reports she will be replacing the current head of the office, Howard S. Marshall, who is headed to FBI headquarters to become deputy assistant director of the Cyber Division. 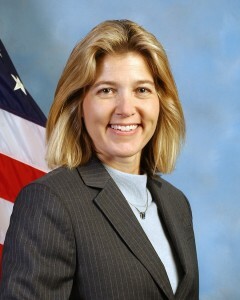 Hess’ most recent assignment was executive assistant director of the Science and Technology Branch of the FBI. She has worked with the bureau since 1991. Hess is originally from Jeffersonville, Indiana. Posted: 8/25/16 at 9:01 AM under Milestone, News Story.